There is no shortage of outdoor adventures to be found in Algonquin Park, and one sport that is a great way to catch some fun is fishing the thousands of lakes and rivers. With plentiful bodies of water, a serene remote environment, and protection from any surrounding development, Algonquin Park boasts some of the most outstanding fishing in Canada. The spring season is the best time to head out and cast your line, and offers ample fishing opportunities. While the deep backcountry lakes are said to have the greatest chance at getting a bite, you don’t have to be fully secluded to catch the best luck. The popular lakes are not only well known for their size and location, but they also inhabit enough fish for a great season for all who wish to enjoy. 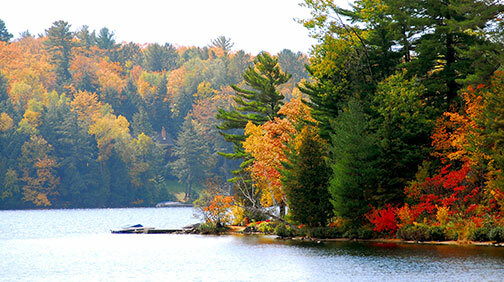 Algonquin Provincial Park is home to one of the most unique and cherished fisheries in all of Ontario and Canada. There is a lifetime of lakes offering fishing opportunities in Algonquin for the cherished lake trout and brook trout, but as well as warmer water species such as bass, muskellunge, walleye and pike. Of course, there are also ample opportunities for panfish such as perch, which is always great fun, especially for kids. 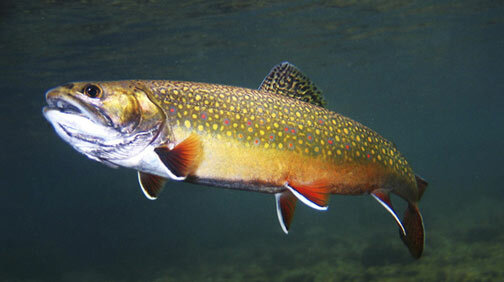 Click here to get some more info on the main sportfish species that inhabit the park. Algonquin Park is a haven for any kind of outdoor enthusiast, but with the thousands of lakes and over 54 recorded different species of fish, it’s easy to see why some people travel to the beautiful park just for the fishing alone. Boasting lake trout, small mouth bass, and a variety of other species, you can take your choice at casting your line in one of the 2,400 lakes or cruise into fishing the 1,200 kilometers of rivers and streams. Check out our fishing section, detailing more information on the species of fish and information on all the lakes and rivers you can find them! 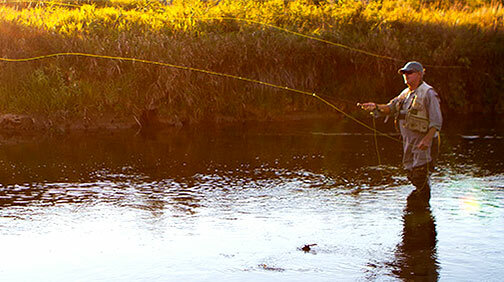 River and creek fishing is popular in Algonquin with mainly die hard seasoned anglers. This is due mostly to the terrain that surrounds the majority of Algonquin creeks and rivers. River and creek shorelines are often thick with short bush like alder making access on foot challenging. However, if you can work to access these waters, the rewards can be plenty. A great way of accessing these gems of the park is by canoe. Check out a few of the options we have mentioned here and be sure to explore beyond!